VietNamNet Bridge – Vietnam is trying to develop a renewable power market in the long term, and to do this, it must seek foreign capital. By the end of 2018, the total capacity of renewable power projects had accounted for 2.1 percent of total electricity output in Vietnam. However, Deputy Minister of Industry and Trade Cao Quoc Hung affirmed that developing renewable energy to ease the reliance on traditional power generation methods is one of Vietnam’s priority tasks. Under the national strategy on renewable energy development for 2015-2030, Vietnam’s electricity output from renewable sources would increase from 58 billion kwh in 2015 to 101 billion kwh in 2020, 186 billion kwh in 2030 and 452 billion kwh by 2050, or 42 percent of total electricity output. To reach that goal, the government has offered a series of preferences to investors, includng credit access, tax and land rent remissions, and the application of the Feed-in-Tariff electricity pricing mechanism for solar, wind, biomass power. By the end of 2018, more than 10,000 MW of solar power had been registered by investors, while PPAs (power purchase agreement) had been signed with more than 100 projects. Two projects with the capacity of 86 MW became operational late last year, while the 100 MW project in Dak Lak province was put into operation days ago. Meanwhile, 220 projects are waiting. MOIT has estimated that the development of other clean energy sources, together with biomass electricity, will satisfy the electricity demand for the 6.5-7.5 percent of economic growth. Gareth Ward, British Ambassador to Vietnam, said at an event held recently that Vietnam has emerged as an important power producer in Southeast Asia, while it is among four leading countries in Southeast Asia in oil & gas production and oil reserves. Foreign experts at the event said that Vietnam’s renewable energy market is taking shape, but it remains unstable because foreign investors are concerned about the risks of the projects. They said the government’s guarantee for renewable energy projects is not higher than other electricity projects, and investors want the investment incentives to be attractive. 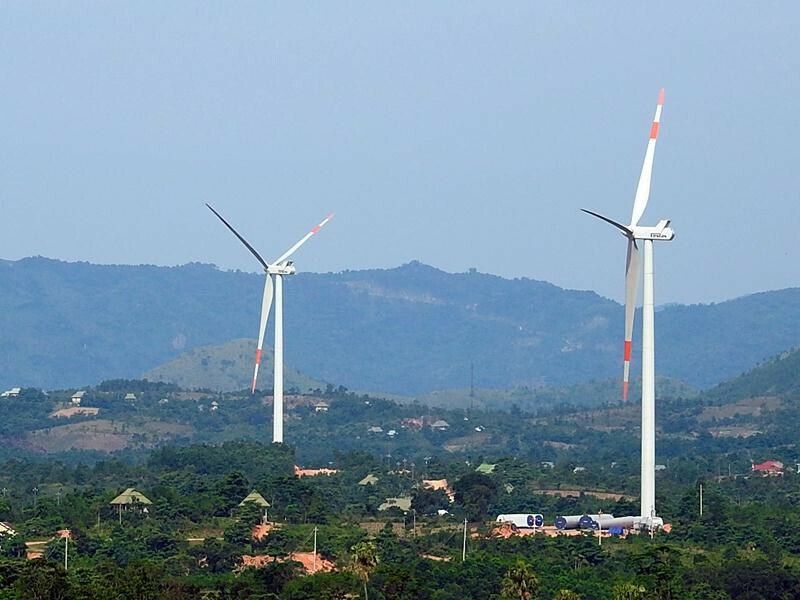 According to Watson Farley William, a British law firm, Southeast Asia and Vietnam in particular now has high demand for renewable energy development. The local governments should lend capital to investors selectively under their specific strategies. Experts pointed out that power transmission network congestion is a big risk for solar and wind projects in Vietnam. It will take Vietnam time to fix the problem, which will cause foreign investors to be more reluctant to fund renewable energy projects. Also, while Vietnam wants to accelerate the investments, it still has not set a long-term FIT for renewable energy projects.